Cerebral palsy Football (CP Football) is for atlethes with cerebral palsy or acquired brain injury and is a teamsport played a recreational activity or competitively at club national, regional and international level. Only 7 players on the field of play. Every team has one goalkeeper and six fieldplayers. They will play two halves of 30 minutes. It is a smaller footballfield with smaller goals and there is not an off-side line. Throw-ins can made by rolling the ball into play. This year the IFCPF European Championchips will be held at the KNVB campus in Zeist. Ten countries will be competing for the coveted cup. 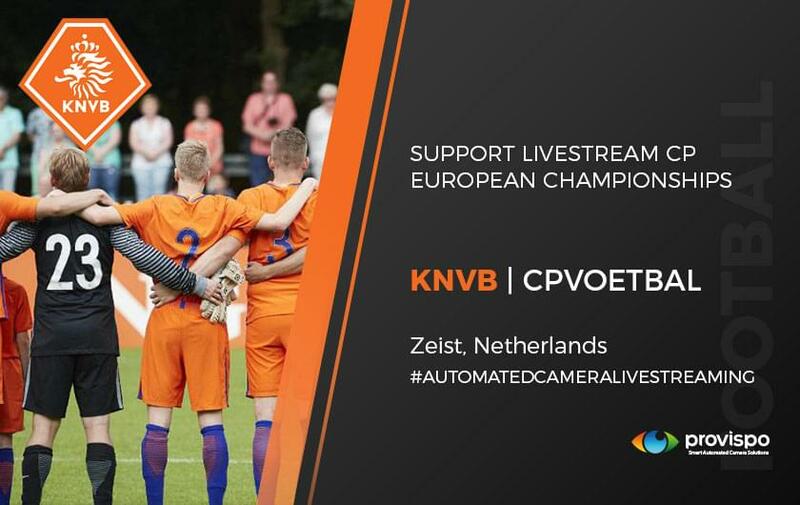 The KNVB requested livestreaming on their website for al the CP football matches during the European Championships. Provispo ensures the KNVB was able to livestream on their website. This makes it possible that everyone who was interested, was able to watch the CP football matches live all around the world. 4000 unique website visitors used the livestream to watch the CP European matches.